Because electronic gadgets are like extensions of kids' bodies these days--the objects they grab at every idle moment-- I think parents have to be pro-active and give mobile devices a time out. Every day. What I try to do is announce that we're having reading time for the next hour, and gadgets must be put away. Sometimes the event inspires creative ways to get into a reading bubble. 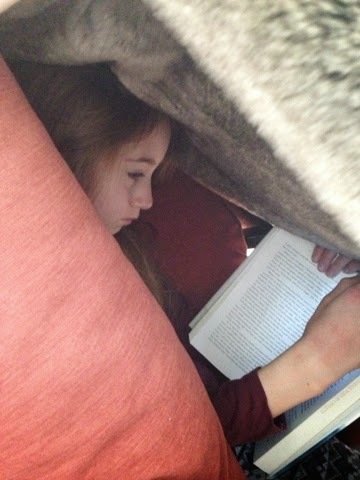 For this set up my 11 year old wore earplugs while in her reading cave. Now, if we can only keep this up! Are we all walking around with anxiety but try to hide it? There are so many bad feelings we try to protect our children from. Never wishing anxiety on them, we try to make everything OK. It's OK if you capsize your boat in sailing class, it's OK to drop an advanced class, etc. Going through a divorce is teaching me about anxiety. 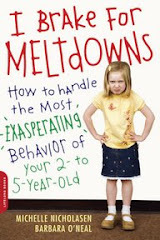 I was trying so hard not to show my stress to my kids, but my tough (fake) exterior is breaking down. Until now, I never thought of myself as an anxious person. You can't hide anxiety for long. I brought four of my children to an gallery exhibit at Brickbottom artists' studios last month, only to see raw human emotions spelled out for me on playful canvases made by artist Pauline Lim. I wonder if my kids, seeing this painting, even understood what this emotion meant or could identify with it. Mostly I think they see the artwork as funny, cute. I give Pauline credit for being so open about our not-so flattering-feelings, once again proving one of art's many functions: helping you feel less alone in your pain. Offset bricks bring a kind of interesting pattern and texture to a boring wall. You can understand why a builder or designer might want it. This is the side of a Mexican restaurant in New Hampshire. Fancy bricks make for some unintended consequences. For a child who has spent a lot of time in a rock climbing gym, and up in trees, this wall is a breeze. What should a responsible parent do when she turns a corner and sees her daughter high-five-ing the roof? Panic? Applaud? Yell at her to come down? Run underneath to be her crash pad, that's what I did. Her friend made it up and back as well, while her dad watched on, very chill. One Saturday in July the children were home alone with their mom. Frustrated with her kids' perceived inability to communicate or mobilize, she confiscated all their ipods, phones, computers, kindles, ipads and i-hoo-haa's and declared a Gadget Free Day. The mother let the kids steam and stew and troop back up to their rooms. She waited. About 45 minutes later, one of her daughters came downstairs and asked if she could build a tree swing. Yes, the mom swallowed. She had no clue how to make a tree swing. After a few deep breaths and a survey of the basement, the raw materials began to emerge. There was sawing, drilling, knot making, and testing of the hemlock branch. A monkey climbed the tree to secure the ropes. With many knotting iterations, the seat was finally level. The swing worked! They all shared the satisfaction of working together and building something with their own hands. And no one asked for an I-pod for the rest of the day. 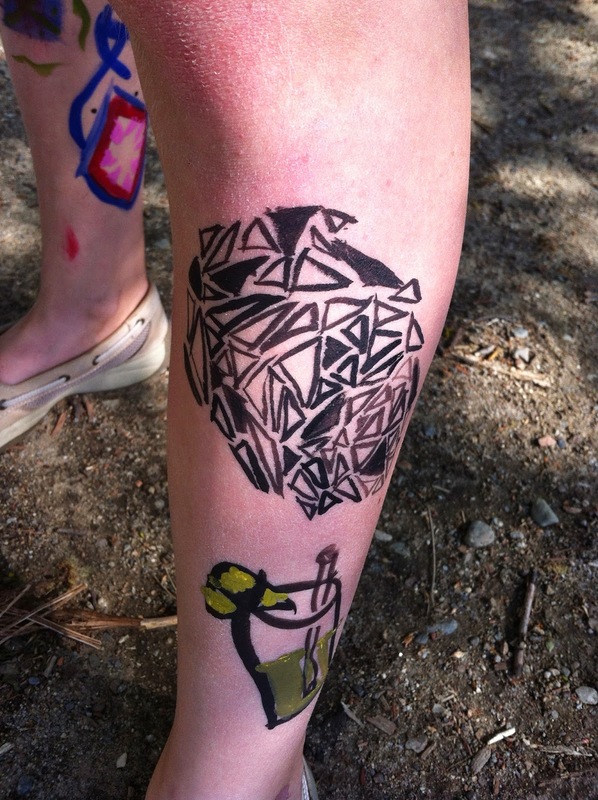 My 13-yo daughter came home from school one day with elaborate drawings on her legs and arms. Bored in science class, she grabbed a Sharpie and went at it. At first I was upset, and told her how wrong it was and that she had to clean it off before the next day, blah blah. But I was struck by the beauty of her designs, which were like a hybrid of henna and geometry. When she said, "Mom, you should let me do this because you know I would never get a REAL tattoo," I thought, hey, she's right. I decided to count it as a blessing that I have an artistic daughter who would never get a permanent tattoo. Above is a design she did on her sister's leg. Then I remembered the book I had read recently, The Garden of Evening Mists, by Malaysian writer Tan Twan Eng. Such a complex and beautiful story about a Malaysian woman who was interred by the Japanese during WW2, and the Japanese gardener who becomes her lover. Besides crafting sublime gardens, this guy was a secret expert in "horimono" the ancient Japanese art of body tattoo. I won't even tell you about the sensual scenes in the book when he is working on her back. Now I am helpless against works of art, even on my children's skin. 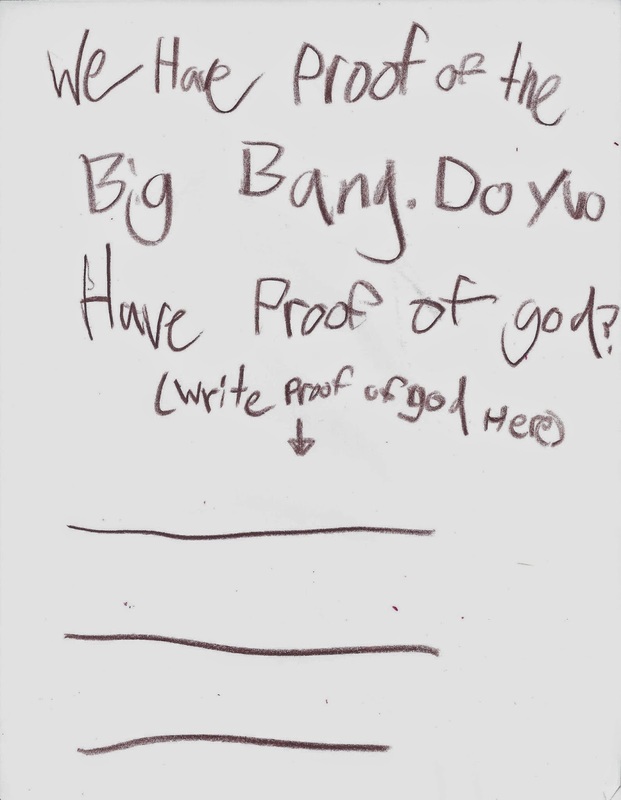 What my 9-year old son submitted for his assignment.